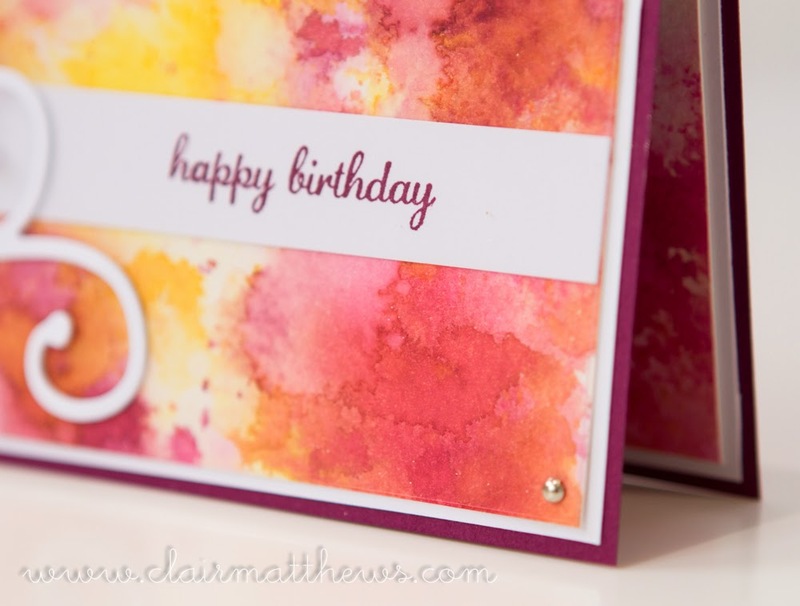 Clair Matthews: Splodgy background cards..
at our last workshop we had fun making our own splodgy backgrounds & made a lovely card using the stampin up swallowtail stamp - see HERE. 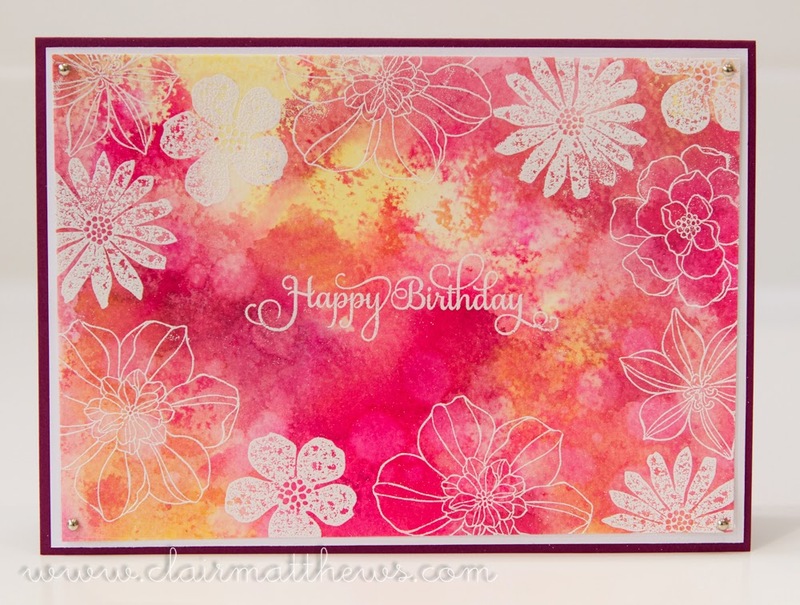 well usually I make exactly the same card as everyone at club but this time I made the background but didn't stamp the butterfly as I wanted to play with different stamps to see how they looked..& here they are..
for this first one I used the stampin up secret garden stamp set to add flowers all around the outside & added my favourite 'happy birthday' stamp from justrite stamps into the centre. 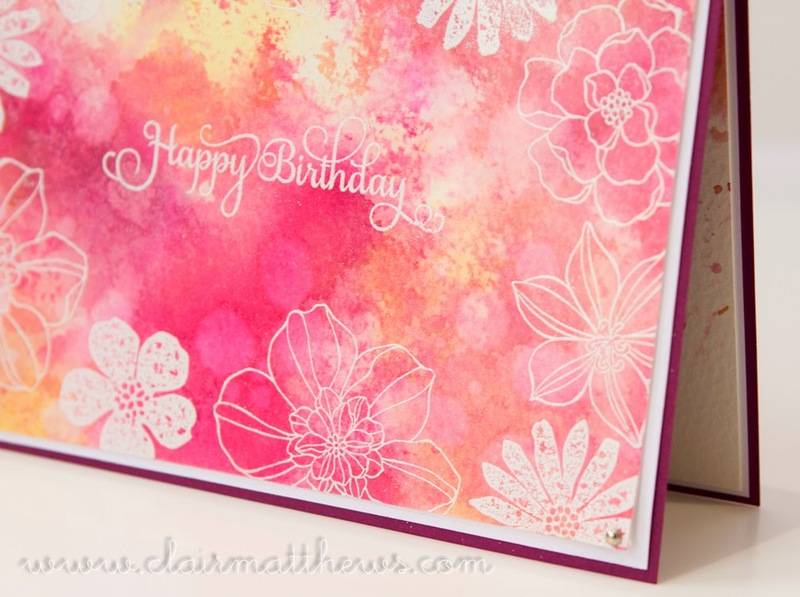 I like the way it turned out but I did struggle getting good embossing powder coverage on the bold stamps. 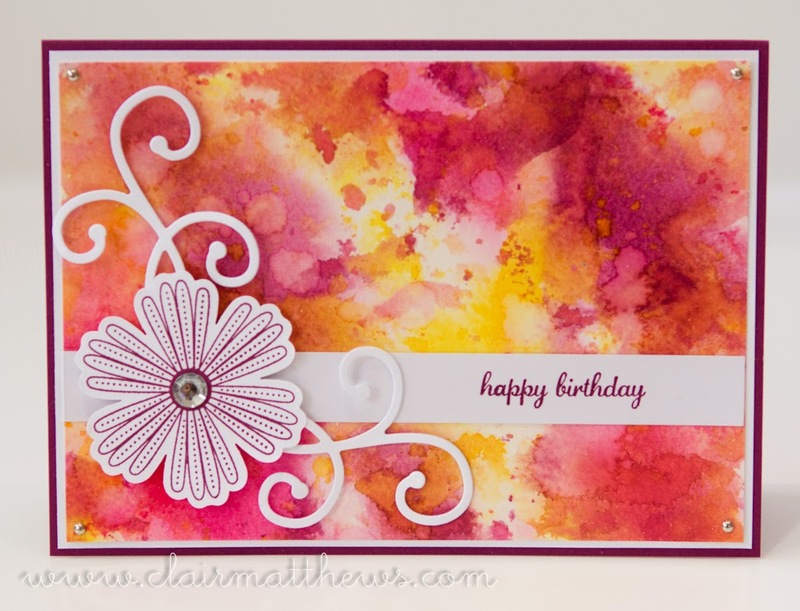 for the next one I stamped my happy birthday on a white strip of card & slid this underneath the acetate sheet, I then made a large flower using the stampin up mixed bunch stamp set & matching punch, I stuck this on top on the acetate, added a couple of swirls & a gem in middle to finish it off..
Lovely cards Clair, gorgeous colours! Im really did enjoy dong it at cards, Its certainly a design I would use again and again, very versatile!